SR 31T Durable - Simple and adaptable! The Intermec SR31T sets a new standard for scanning performance, durability, and ease of use among general purpose handheld scanners. 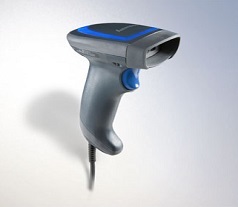 With the fastest time-to-read of any scanner in its class, the SR31T is a robust tethered scanning solution for retail, office and light industrial environments.